I'm not supposed to be on summer vacation yet. But I got lucky, and got off school a week early. YAY! My mom and I are celebrating by starting to check out some places from our Twenty Three Restaurant List for the summer. 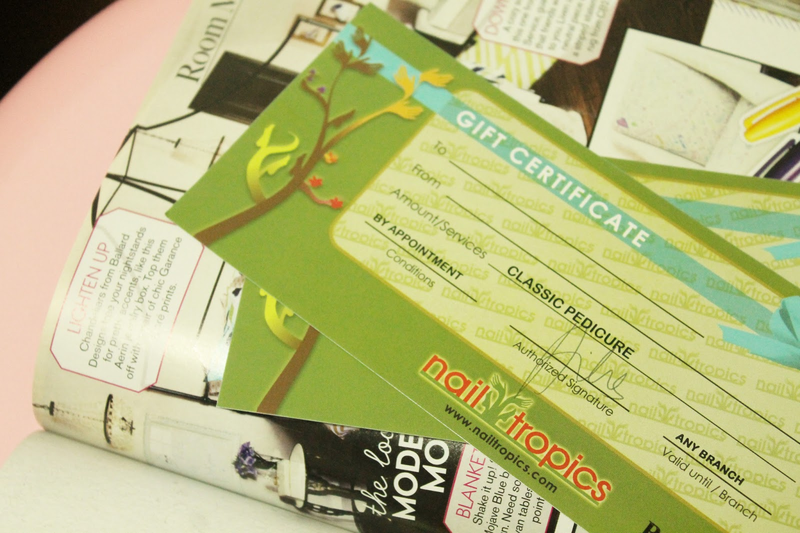 But before we did that, we took a trip to the nail spa and salon. I've been so busy with school, I think my last haircut was 5 months ago - that's a pretty long time! My hair was starting to feel like a curtain. We decided to try out two places today. There is no order to the way we're getting through the list, so we look at our choices and pick the one that satisfies a craving or seems the most interesting on a certain day. 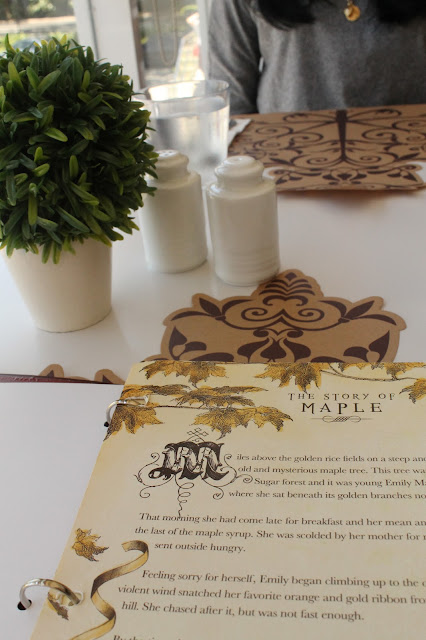 We decided to try out Maple for brunch today. We ordered a big breakfast to see how we'd like it and decide later if we would still have room in out tummies for more. Maple is part of the Pancake House Group so there were some similarities to the menu with the addition of some other dishes such as the Prime Rib Angus Tapa and Spaetzle Jambalaya. The Big Maple Breakfast includes a choice of three buttermilk pancakes or a giant Belgian waffle served with two eggs, maple bacon, country fries and breakfast sausages. My mom and I eat with our eyes. We weren't too happy with the way this dish was plated. It looks pretty sad, don't you think? Whenever I order Belgian waffles, what always comes to mind is the Starbucks version- a crisp and sugary sweet crust topped with heaps of whipped cream. Maple's version is a plain waffle, crisp on the outside and fluffy on the inside, topped with whipped butter and syrup on the side. The breakfast sausages tasted exactly like the ones in Pancake House, except they were bigger. We wish that the bacon was crispier, though. We wanted to try other dishes but this plate left us feeling full. I think we have to go back one more time! BONO artisanal gelato is in SM Makati, a short walk away from the branch of Forever 21 on the ground floor. After spending about two hours flipping through racks of clothes, we found ourselves trekking to the corner of the second floor where it's located, shopping bag (and camera) in tow. This is not a run-of-the-mill gelato place. The flavors are different, interesting, and exciting. Although, some are not everyone's cup of tea - the Lavande flavor, infused with lavender flowers which my mom found quite good was not exactly my type. But there's definitely something you will enjoy on their menu. Gelato Lab- serious gelato making going on in here. After spending some time talking to the staff and being handed around three or four spoons with different flavors of gelato to taste, we decided to both get double scoops of different flavors. I got the Speculoos and Cereal & Milk flavors, while mom got the Fragola and Pistacchio flavors. They did not dissapoint! The first thing I noticed about my gelato was every bite had a little morsel of whatever the flavor description included - no empty bites of plain vanilla! (This is EXTREMELY important for me.) Cereal & Milk, a concoction of cornflakes and the taste of sweetened milk, though interesting, was not my favorite. The Speculoos flavor was the best for me. Cookie Butter and I are pretty good friends. The gelato had lots of cookie bits! Nice & thick and super creamy! Mom's orders were equally yummy. The Fragola flavor, made with strawberries, was super refreshing. I don't normally like Pistacchio flavored ice cream, but BONO's gelato version was nutty, crunchy and captured the taste of the nut perfectly. BONO is perfect for ending a tiring shopping excursion, satisfying your sweet craving, or just for hanging out with a bunch of friends. We hope that a proper branch can open up in a less busy atmosphere!